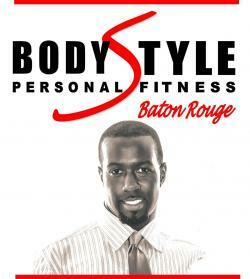 Elite Personal Training and Total Body Makeovers! I offer a wide range of individualized, goal oriented fitness programs ranging from one on one training to your own personal boot camp by way of High Intensity Interval Training (H.I.I.T.). My approach overall wellness is unique, my moral commitment to a lifestyle of optimum fitness is methodical and proven through 12 plus years of success stories, documented performance enhancement and physiological restoration. At Bodystyle Personal Fitness, my staff members are a professional, first-class team filled with positive and dedicated people accomplishing amazing things in fitness. They make sure that the company culture reflects our awesome personalities and is centered around exercise, good nutrition and mindfulness. With daily fitness programs, on-site wellness coaching and goal management, healthy snacks, cardio theater TV, weight loss counseling and more; our wellness community is all about fun, fitness, support and positivity. I believe in a positive, completely healthy lifestyle of holistic living covering all aspects of one's life - physical, mental, emotional, and spiritual. I love health and wellness and have never missed a week of working out since 1999.